Bring along your friends and family. 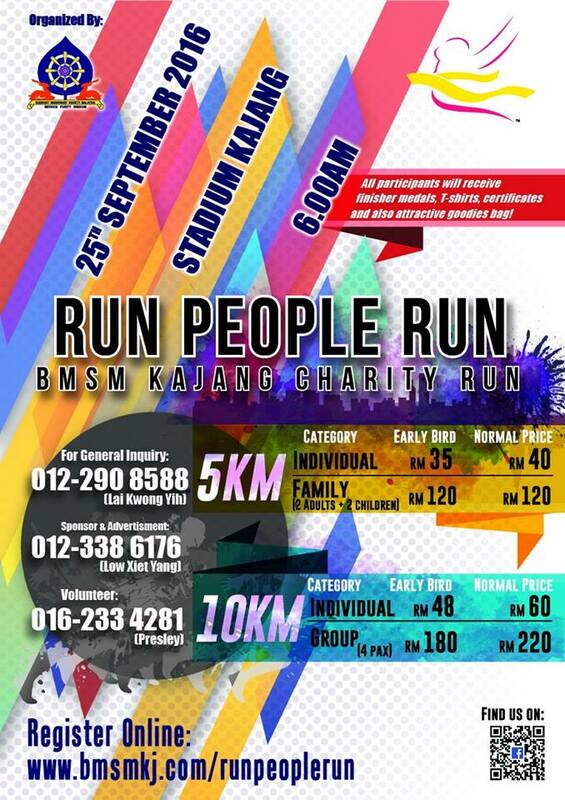 A run for all ages, Run People Run – BMSM Kajang Charity Run is here! When is the last time you have exercised? Bring along your family and friends and let’s run! Join us now to enjoy the early bird discount! Register before 18 July 2016 to enjoy early bird price!